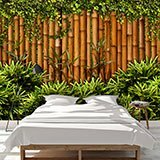 Fotomural Bamboo Fence. 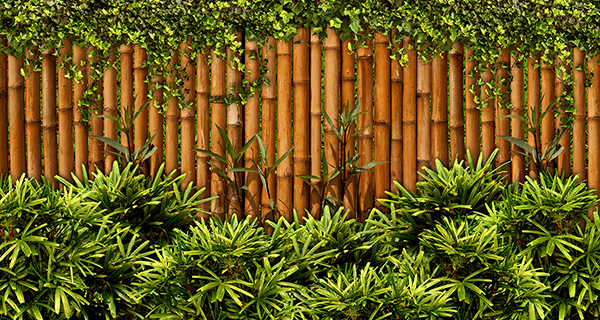 Illustration of a Bamboo fence surrounded by plants at both the bottom and top. 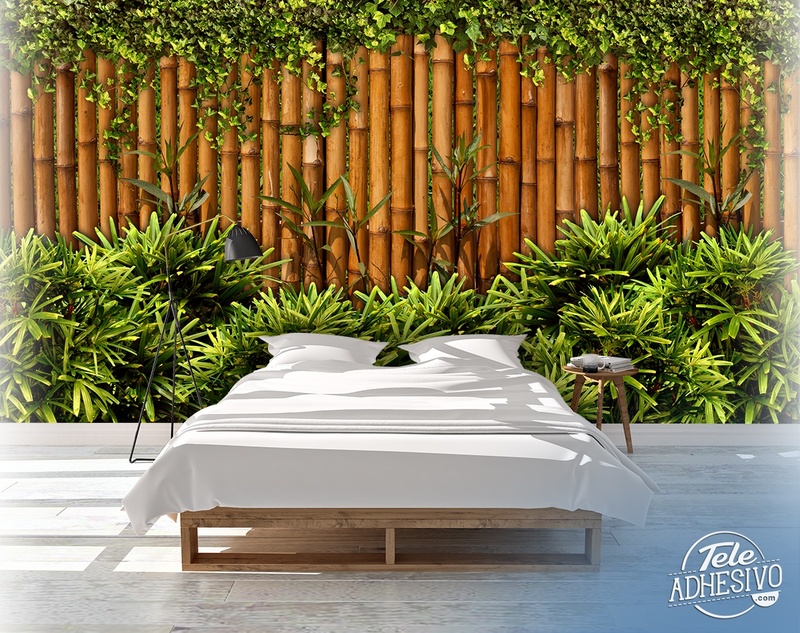 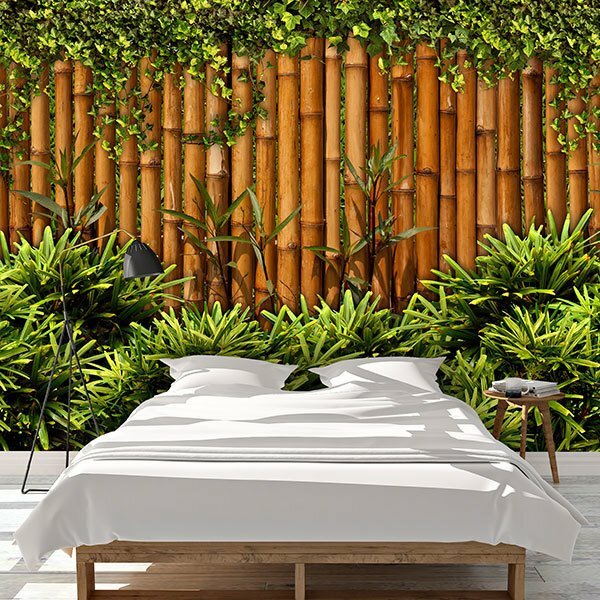 One of the things we like most about bamboo is the number of uses it has, due to its characteristics bamboo can be used for food, construction or fabric.